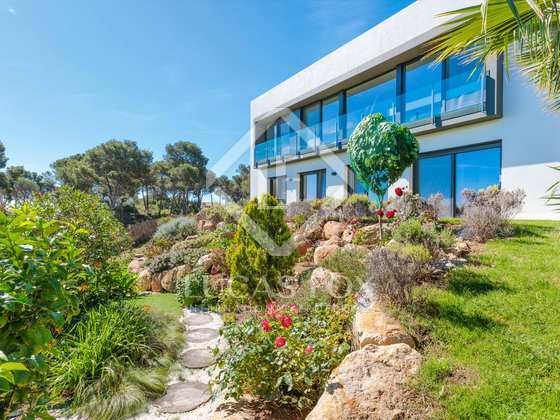 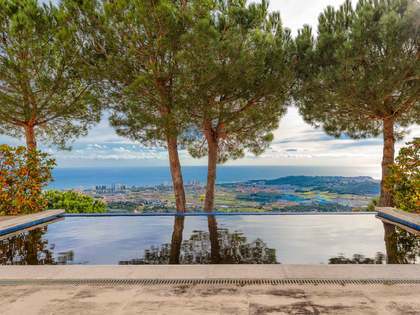 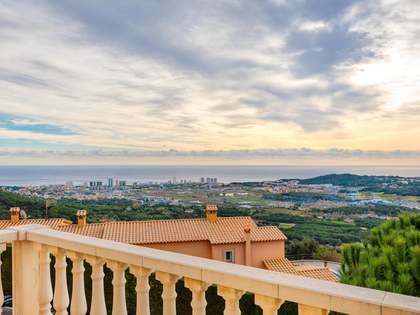 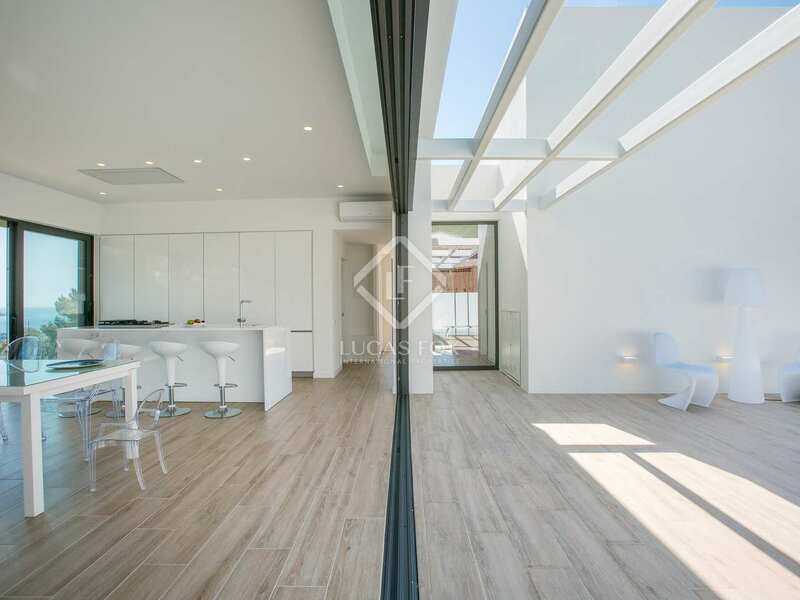 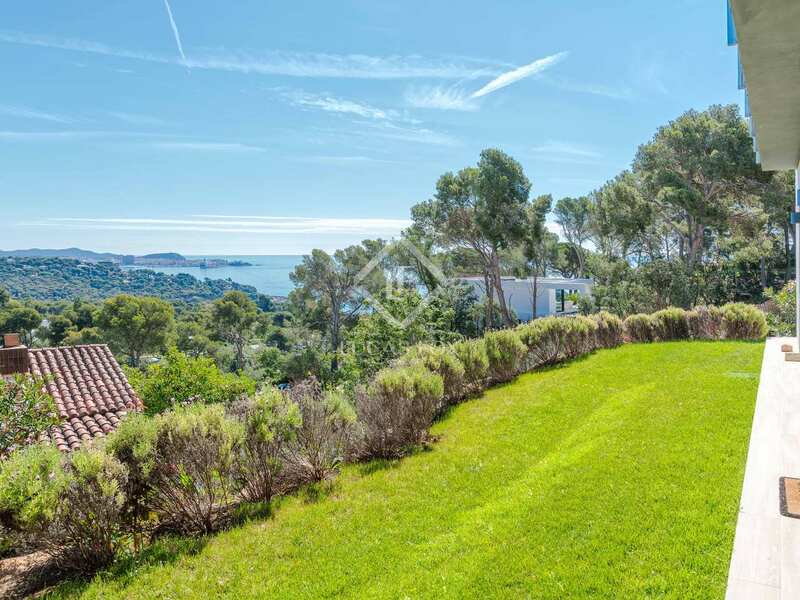 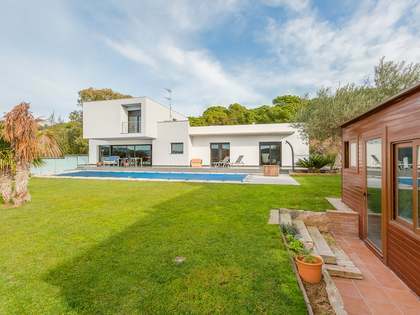 Modern villa with stunning views of Palamós port, close to Playa de Aro. 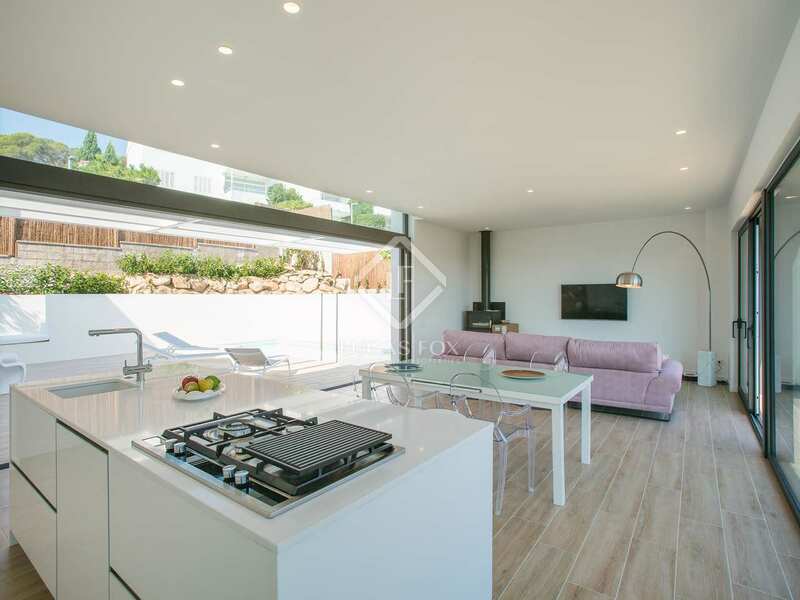 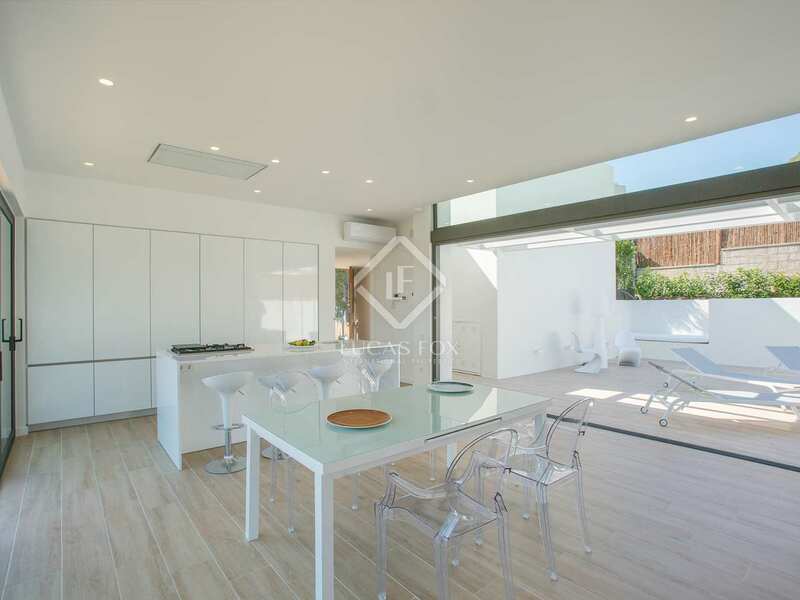 This modern villa is for sale just a few minutes from Playa de Aro and Sant Antoni de Colonge; the property benefits from being in a peaceful location yet close to everything that the town of Playa de Aro has to offer including schools, shops and parks. 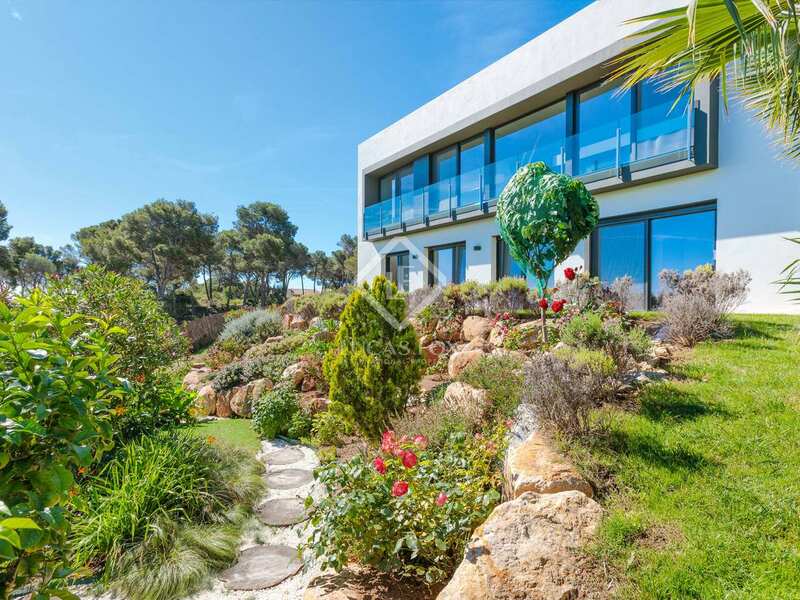 The villa stands out for its fantastic views across the port of Palamós and the mountains, a truly beautiful natural setting. 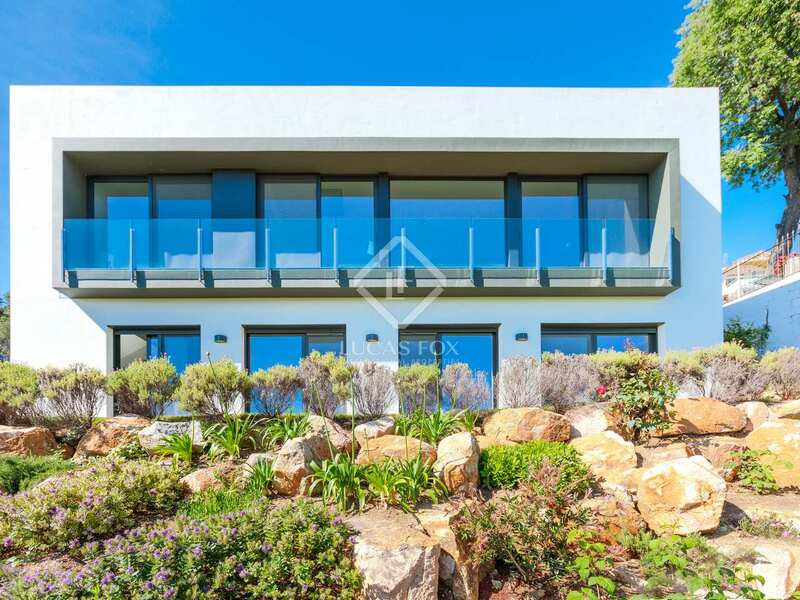 Built in 2016, the property is presented in excellent condition. 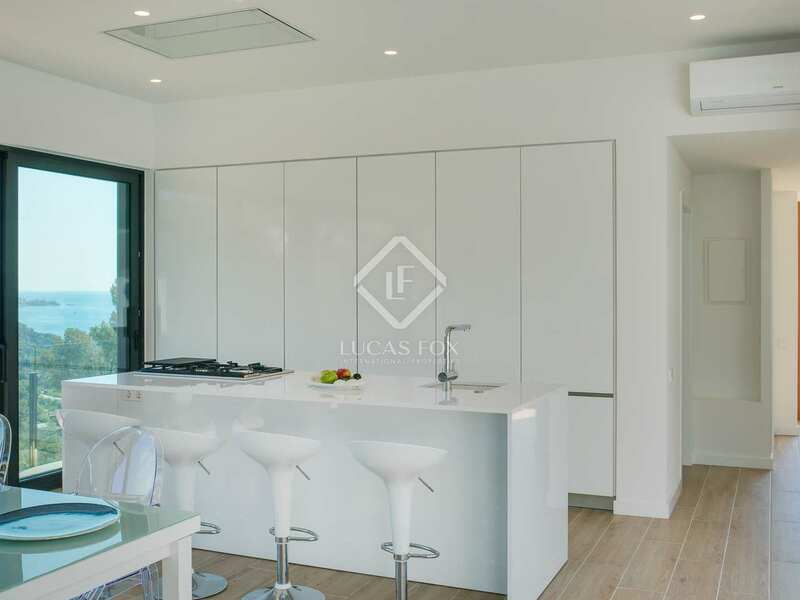 On the main floor we find the spacious living-dining area with open, fully-equipped kitchen. 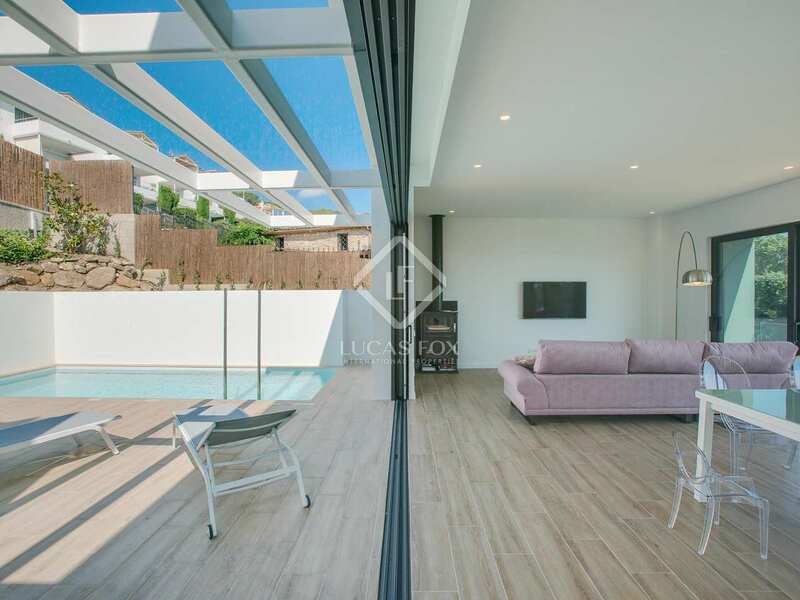 Floor to ceiling glass doors occupying almost the entire wall offer stunning sea views and give access to a large terrace with a swimming pool. 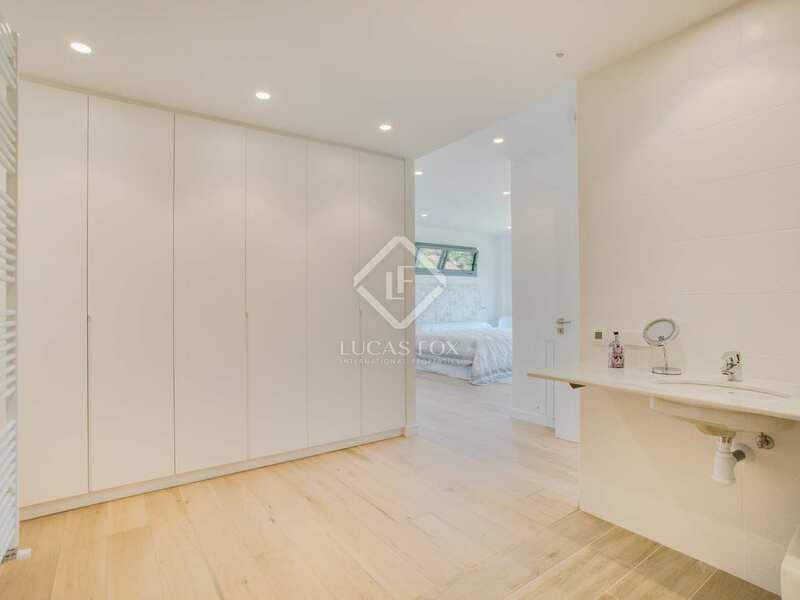 One double bedroom and a bathroom plus a garage complete this floor. 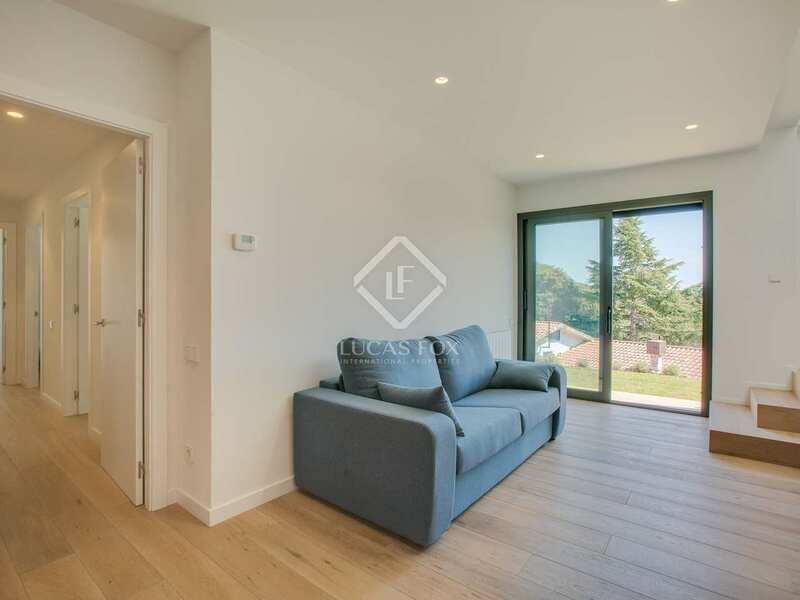 The ground floor is composed of an ample living area, ideally suited for use as a games room or office. 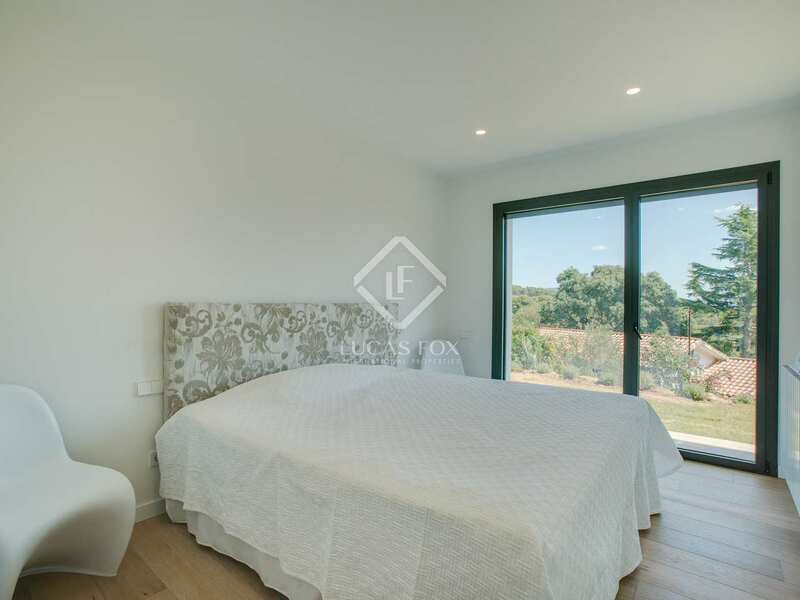 There are 3 bedrooms on this floor of which one is the master suite with shower and bath tub, the 2 remaining double bedrooms share a bathroom with a shower. 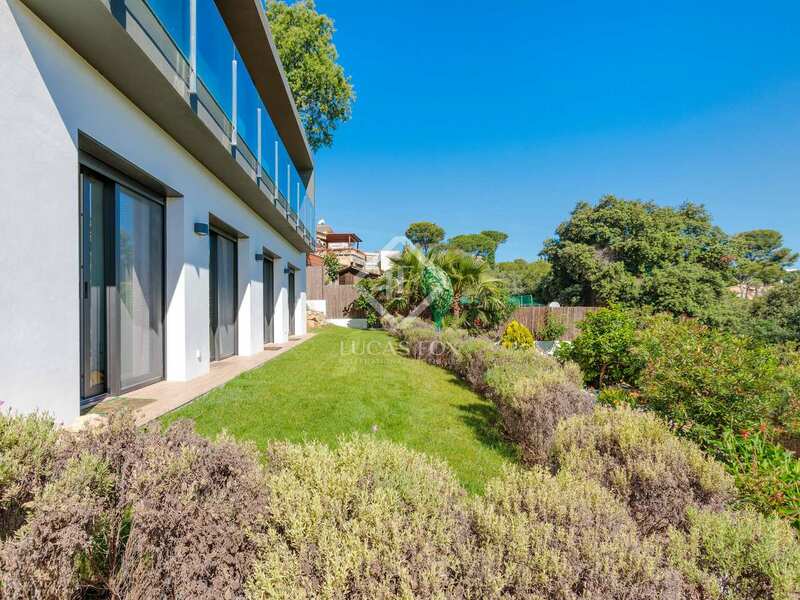 Each of the bedrooms has direct access to the private garden. 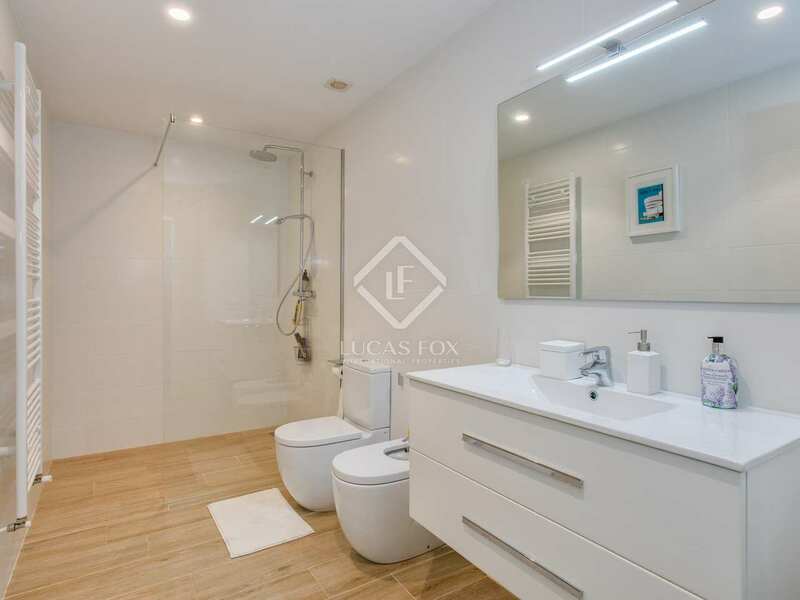 There is a utility area and independent storage room on the ground floor. 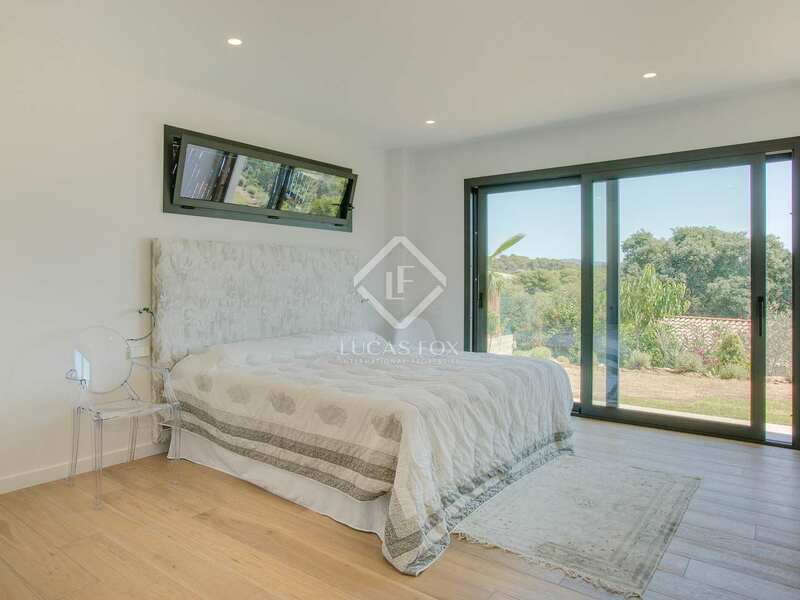 With natural gas and underfloor heating, as well as air-conditioning and double glazing, the property offers year round comfort. 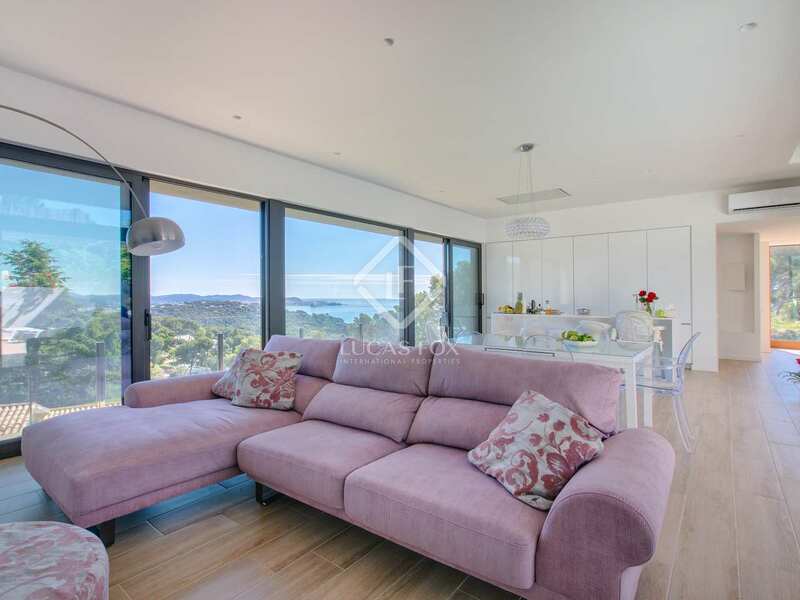 The property is fitted with solar panels for energy efficiency. 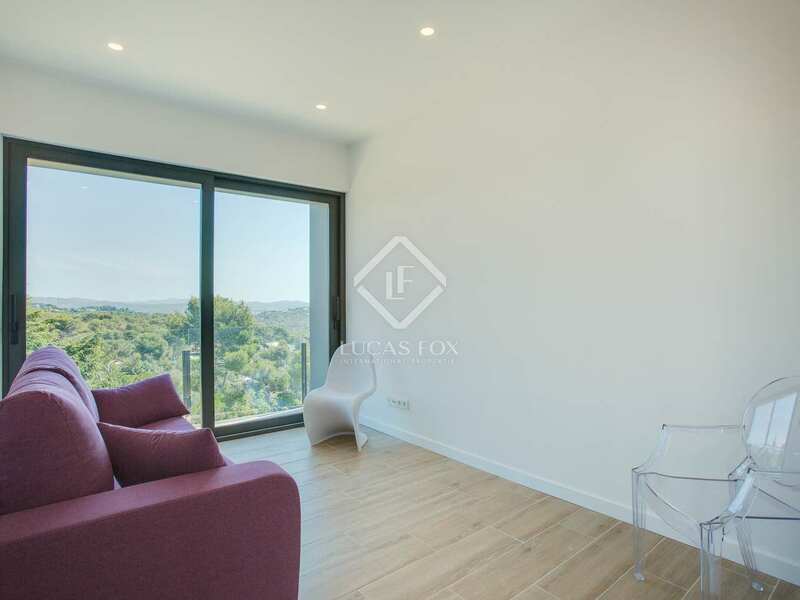 An ideal first or second residence for families as well as an excellent investment option, the area is in very high demand during the summer months given its location next to Playa de Aro. 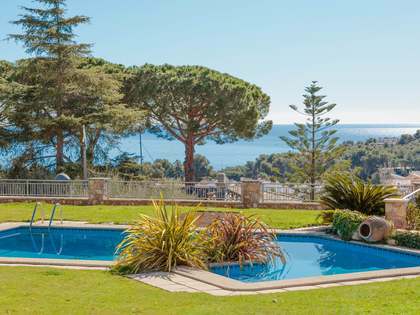 This villa is just a few minutes from Playa de Aro and Sant Antoni de Colonge; a peaceful location yet close to everything that the town of Playa de Aro has to offer including schools, shops and parks as well as being close to the beautiful beaches of the Costa Brava.